Reference is made to Gaming Innovation Group Inc.’s (GIG) announcement 11 September 2017 regarding the acquisition of the Danish performance marketing company Rebel Penguin ApS. Below are some additional information in accordance with section 3.4 of the Continuing Obligations for companies listed on the Oslo Stock Exchange. GIG’s subsidiary Innovation Labs Ltd. has acquired 100% of the shares in Rebel Penguin ApS from the holding company Rebel Penguin Holding ApS, which is owned by the founder Jonas Warrer (44.6%), the two Danish investors Morten Strømsted (22.3%) and Peter Korsholm (22.3%), as well as key employees (10.8%). The purchase price is EUR 13 million, which will be settled with EUR 9.1 million in cash and the balance in 7,165,000 GIG treasury shares. The shares will have 12 months lock-up. Closing is expected ultimo September 2017. 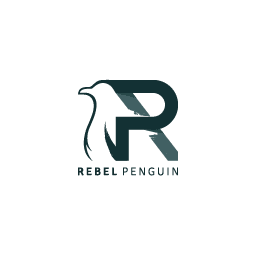 Rebel Penguin (RP) is a marketing company founded by Jonas Warrer in 2007, specializing in online marketing combined with proprietary technology and a focus on iGaming – generating paying customers to sports betting clients in UK & the Nordics over the last ten years. Recently, RP expanded its focus to include an online marketing agency, catering to a variety of clients. With the highly competitive and proprietary technology of Rebel Penguin, GIG will enter the paid media space through the acquisition, reaching distribution channels such as Facebook and Google. It is expected that RP will provide an increased volume of new players into GIG’s eco-system and benefit all of GIG’s business areas. RP’s in-house affiliate agency will also add valuable technological and strategical knowledge to GIG’s B2C and B2B gaming operators. RP has during the last years focused on building a large customer base on revenue share instead of up front CPA, and is currently doing 84% on revenue share, 12% on CPA and 4% on agency deals for operators. RP has so far not approached the casino market where GIG has a leading and rapidly growing presence. Thus, the casino segment represents an attractive and untapped potential. In addition to revenue synergies, the cost synergies are estimated to be at least EUR 1 million per year. RP is based in Copenhagen has 36 employees. Jonas Warrer is founder, CEO and board member and the board consists of Morten Strømsted (chairman), Peter Korsholm, Jakob Eggert Roed Jakobsen, Lars Kristian Runov, and Tobias Christopher Arroyave Købke. There are no agreements entered into with any members of the board or executive management in GIG or RP except for the SPA.